The history of the Royal Navy dates back over a thousand years to King Alfred's first battle at sea in 882. The Navy defended Britain from invasion, attacked enemies and eventually established Britain as the dominant world sea power in the 19th century. The history of the Navy is to a remarkable extent the history of Britain. The National Museum of the Royal Navy preserves, explains and celebrates the enormous contribution made by the Royal Navy during its remarkable history of over 1000 years, in the defence of the UK and our allies. From the early days of the warfare under sail, to today’s complex matrix of naval forces, the Royal Navy has created an enduring spirit of camaraderie and mutual co-operation among its service personnel and the general public. The Royal Navy operate a fleet of ships, employing 21,500 personnel. 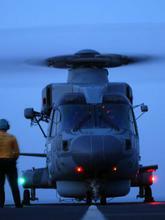 Today's role involves peacekeeping, fighting piracy and the prevention of drug trafficking. 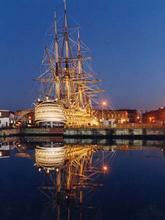 The Royal Naval Museum is one of Britain’s oldest maritime museums. The Museum’s mission is to make accessible to all the story of the Royal Navy and its people from earliest times to the present. 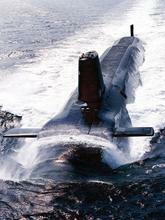 The Royal Navy operates a fleet of submarines, employing 4,500 personnel. The Royal Navy Submarine Museum traces the history of submarine development, from Alexander the Great, to Holland I, to the giant nuclear powered Vanguard class of the present day peace keepers. The Museum also serves as the Regimental Headquarters for past submariners. It houses a huge collection of photographs, transcripts, artifacts and archive material. Aircraft operated from aircraft carriers and frigates are run by the Royal Navy’s Fleet Air Arm, employing 6,000 personnel. The Fleet Air Arm Museum has Europe’s largest collection of naval aircraft. In addition the Museum houses Concorde 002 – Britain’s first Concorde, and The Aircraft Carrier Experience - a realistic reconstruction of the flight deck and operation rooms of HMS Ark Royal. 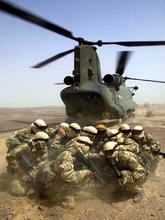 The Royal Marines are an elite commando force employing 7,500 personnel. 3 Commando Brigade forms a high readiness amphibious brigade, able to deploy by sea to the very doorstep of a crisis. The Royal Marines Museum tells the story of Britain’s sea soldiers from 1664 to the present day. Imaginative displays explain their role in many famous actions such as the Battle of Trafalgar, the D-Day landings and the Falklands campaign. The Museum’s superb collection includes all 10 VCs awarded to Royal Marines.